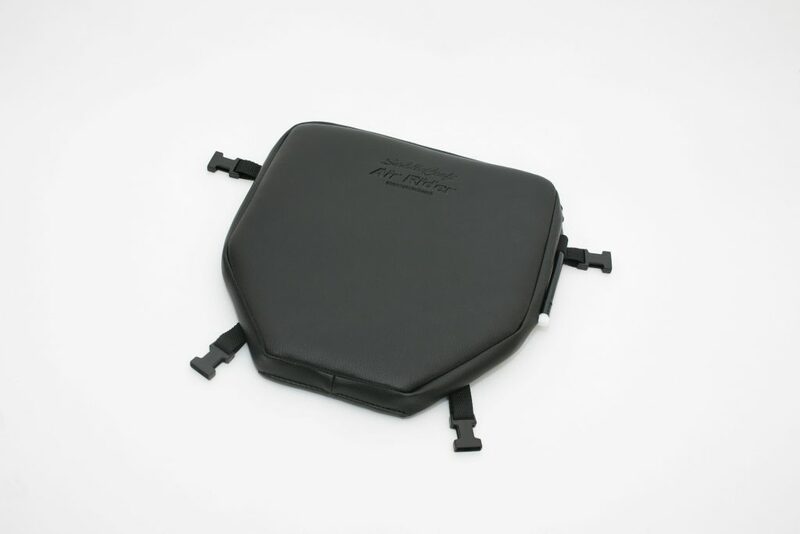 After 2 years of devolopment, the Air Rider will be available from mid August. Using air cell technology, we have produced a product that, at the touch of a button, self adjusts in seconds to suit individual requirements, no need for electrical connections or pumping up! The air cell has a patented valve, which when pressed, self inflates. When you sit on the cushion, press the button again to release air until the desired comfort level is achieved. If you feel that you have released too much air, just take ones weight off the cushion and press the button to reinflate, simple! Please note that only a minimum volume of air is required. Two sizes will be available. 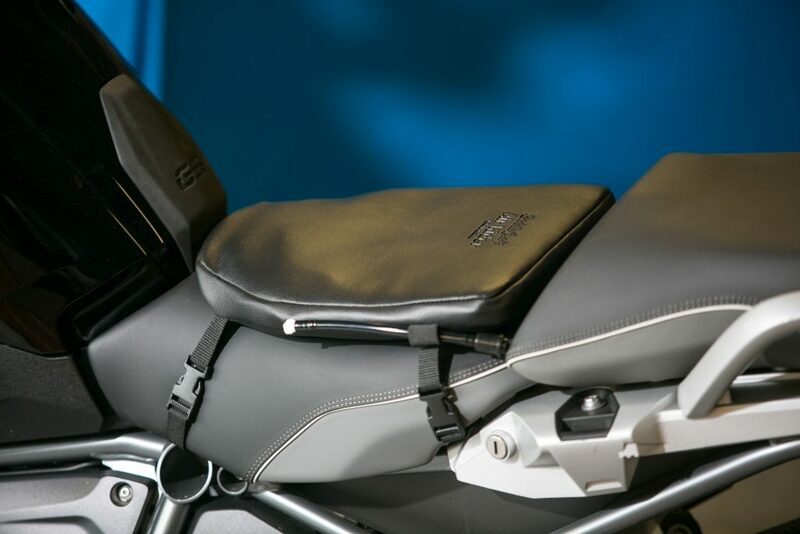 30cm x 30cm which is the size shown on the BMW 1200GS pictured above, and 40cm x 30cm approx. Other sizes are planned for later release. 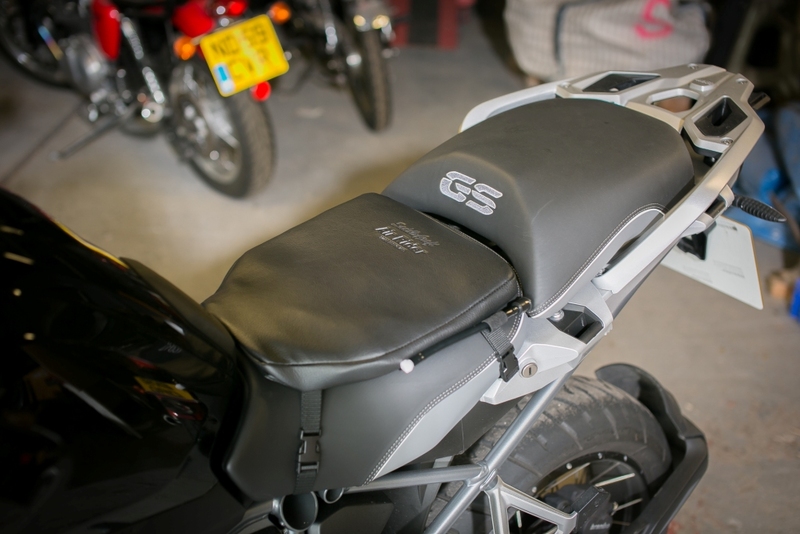 Why not have your Air Rider cover customised by adding a logo or name? 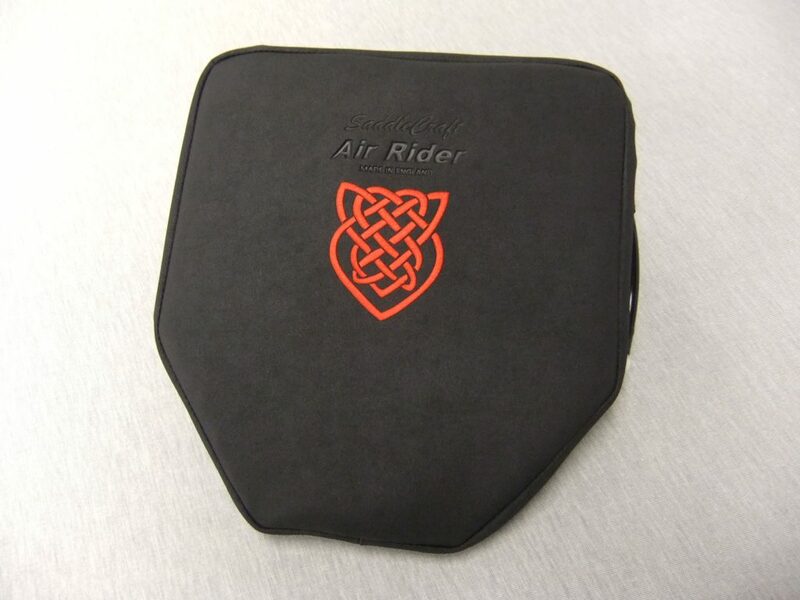 The Air Rider below was ordered with a Celtic Shield design (symbol of protection) embroidered into it. Copyright 2019 © Saddle Craft. All Rights Reserved.